Are you shopping for the best portable air compressors? If yes, then you just came to the right place. First, I did a lengthy review of the top 10 best air compressors to buy in 2018 and today, we are going to narrow a little down to the best portable air compressors in the market. You will find that in our top 5 picks, pancake compressors dominated, but for obvious reasons. They pack more power and come in small form factors. In this review, we have picked from the smallest compressors for tire inflation to larger models that can power even wrenches – but of course with portability in mind. So, without further ado, let’s get straight to business. Now that almost everyone can repair a tubeless tire puncture, inflating the tire thereafter is the problem. But thanks to NOOX, you can now repair and inflate your tires anywhere. Whether a bicycle, motorbike or car, NOOX has got you covered. And thanks to the ultra-compact design, you don’t have to worry about space. It easily fits in my front passenger dashboard compartment. Since I walked for 6 miles to a gas station in the Route 50 Nevada stretch, on a hot day, I vowed to always have a tire inflator in my car and I got NOOX. NOOX sports a simple and ultra-compact design; no bulky cylinder tanks and engines. It looks exactly like the AUDEW – another top portable tire inflator, save for a few branding differences. Actually, AUDEW would have taken NOOX’s position but then, it is a bit expensive and offers just the same service as NOOX. You will get NOOX at around $35 while AUDEW retails at $38 on a normal day. I’m sure 3 bucks has got something better to do; it may cover a bit of the shipping fees. NOOX is very easy to use; you just plug it into the cigarette port, set the desired psi and voila! This is why my wife loves it – she hates queuing at the gas station. With this one, she can check and monitor her tire pressure easily. Remember, it can inflate, check pressure, and deflate. The good thing, when it stabilizes on the set pressure, the kit automatically shuts down. The display has 4 units; PSI, KPA, BAR, and KG/CM. Besides the LED-lit digital display, there’s also an inbuilt torch to help you out in the dark. The 9-foot cord allows reaching to all the 4 tires. But if you are looking for something to inflate big tires and air mattresses, I’m sorry, this won’t be the best. Yes it’s a 150 PSI air compressor and will eventually fill them all but where time is of the essence, this will be a letdown; its performance is for light-duty inflation needs. Another thing, even though nozzles for inflating balls have been provided, you will always need DC power source so if you don’t have a car, you don’t have a compressor. This is one consideration I made before finally getting my kids the Porter-Cable CMB15 which works with the mains. But then, you can always get an AC to DC converter and use it with the mains. NOOX is a great portable tire inflator that every motorist needs to have. Mark my words, every motorist regardless of whether you are an automotive expert or just any other driver. Remember, besides inflating your tires after puncture repair, it is also a tire pressure gauge. I bought the Porter Cable CMB15 for my kids who love bicycles. This is another compact air compressor, but not the best for cars now that NOOX is here. But then, it is still compact compared to the likes of PORTER-CABLE C2002 and DEWALT DWFP55126. At 20 lbs. only and with an ergonomic handle, it gets our thumbs up for the best portable compressor for home use. You can easily move with it around and will power most domestic air tools. My Porter-Cable CMB15 is now 5 years old and its performance is still excellent. Initially, I thought of it as a light duty compressor just for my kids but then, I use it frequently with my nail gun. The last time, I was repairing part of my ceiling board and it came in handy because of one thing; portability. Besides this, it is very versatile and will work with nail guns, spray guns, staplers, airbrushing, and so on. It packs a 0.8 HP motor that delivers a maximum of 150 psi but its standard rating is 2.0 cfm @ 90 psi. Notably, the engine runs very quietly but then, this is expected in a 0.8 HP compressor. One of the unique things that attracted me is the enclosed exterior. I find it very safe for kids as no moving parts are exposed. In fact, this is another reason that made me settle for this compressor. Generally, it offers excellent performance that you would expect from a 0.8 HP compressor. But if you are looking for raw power, I am afraid, this is not a good choice. The price too is quite high and you would get something more powerful though portability will be compromised. Actually, for the same $100 price tag, you would rather settle for a pancake model; it’s bigger and still, portable considering they average 30 lbs. But one thing I must rant about this compressor is the accessories; poor quality that doesn’t meet the standards of the compressor itself. Most of these top brands subcontract smaller companies to manufacture accessories and this is where quality gets diluted. As I mentioned in my review of the best air compressors, you should consider getting quick-connect couplings, a chuck, and hose. What the manufacturer supplies are trash and won’t last a month. When it comes to the hose again, remember compressed air is dangerous so you don’t want to compromise on your safety. 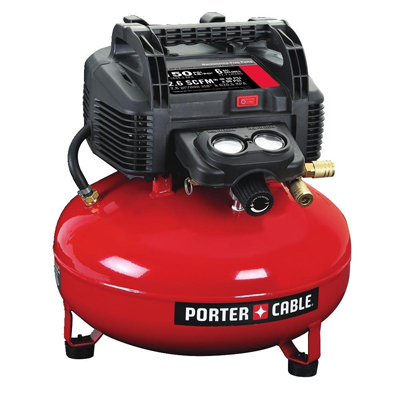 Porter-Cable CMB15 is a base air compressor model built for those who are really keen on portability. It may not be the best in terms of performance but you can tag it along effortlessly; it’s only 20 lbs. and can power a nail gun. But for the price, I wouldn’t recommend it unless you are buying it for kids or the elderly. I remember saying that Porter Cable CMB15 is quite expensive so I should substantiate that. 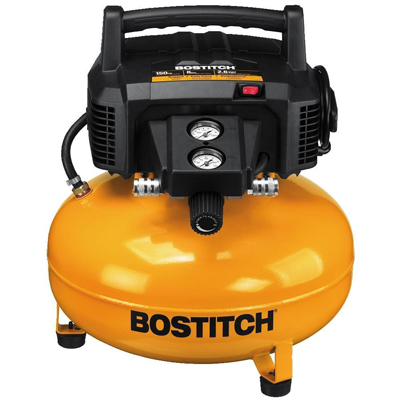 Bostitch BTFP02012 will be my case study for an affordable portable air compressor. This is a pancake model that boasts the same features as Porter-Cable C2002 and DEWALT DWFP55126. But while these are high-end models retailing at over $200, you will get Bostitch BTFP02012 for half the price. One thing I’m eager to mention about this compressor is the weight. In our tests, we manually weigh them and it measured 29 lbs. This means it’s lighter than DEWALT and Porter Cable C2002 which are a pound or two heavier. That said, it will still be a priority when you are looking for a light pancake compressor. Besides weighing lesser, I like the handle because it is large, though not the best in terms of strength. Upon lifting, you can feel it stretch so it leaves you with a lot of questions about its durability. But so far, we haven’t seen any negative reviews regarding the handling. Like earlier said, this is one model that rivals the likes of DEWALT, Porter- Cable and the rest of the crowd. It has a 6-gallon tank that is quite enough for bigger projects. But unfortunately, its recovery time is wanting. When working on heavy projects, you want something that can refill faster to ensure the work keeps going. We thoroughly tested this one and confirmed it was a bit slow. While you’d expect it to refill in less than 45 seconds, it can go up to a minute and sometimes over a minute. But on a good side, it has an efficient motor that guarantees quick starting even in cold weather. But then, you will have to use it often to ensure it remains in top condition. When not used for long, you will experience hard starts and at times dismal performance. Regarding performance, there’s nothing much to say. It delivers 2.6 cfm @ 90 PSI and a maximum of 150 psi, a performance that I find to be on book only. In as much as I praise this compressor as a low budget pancake model, its performance is not as robust as its peers; the DEWALT DWFP55126 and Porter Cable C2002. Another put off, it is louder than even bigger engines. Though the manufacturer rates it at 80dB, it is louder and considering it’s not even a 1.0 HP motor, there’s a lot to be desired. Fortunately, there are a few things that can put a smile on your face; a better quality hose, a high-flow regulator, and couplers. There’s something I want to make clear about its performance. Remember, it would be unfair to compare this compressor with bigger 1.0 HP models as it is a 0.75 HP air compressor so it won’t offer the same performance. By now, you must be thinking that my verdict on this compressor will be a harsh one but no, it’s not. My honest opinion is that Bostitch BTFP02012 is a great compressor that you should buy if you are on a tight budget. The biggest flaw is the slow recovery so if your tasks are light duty, this should fit your needs perfectly. Like mentioned in one of my other reviews, I am not a fan of pancake compressors, but here, I will have to be objective regarding their performance. 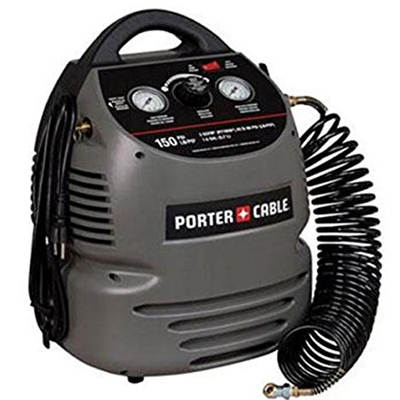 I thoroughly tested the Porter Cable C2002 when doing my review for the best air compressors and it changed my perception about pancake air compressors. It boasts an efficient 0.8 HP motor that delivers excellent performance especially when it comes to recovery time. One thing I noticed about this compressor is its fast recovery time. I know the C2002 can be compared to the likes of Bostitch BTFP02012 but one thing that sets it apart is the time it takes to fill the tank from empty to full. If you require compressed air for a long time, this will be the best choice because you won’t waste too much time in between refills. That reminds me of the tank; this one is a gallon steel tank, very durable and gives the unit stability. Unfortunately, there are cases of corrosion especially when the unit is not properly drained. Actually, from what I realized, this is not a good buy for first-time buyers and also those with little time for carrying out maintenance. You must frequently drain the tank lest it gets corroded and that’s something that will give you a headache. The nozzles and hoses will get blocked and will often require replacement. Regarding performance, the Porter-Cable C2002 packs an oil-free pump so maintenance shouldn’t be a concern for you. The motor is electric powered with an RPM of 12,600 which guarantees a pump life of 1,000 hours – by that time you will have recouped your investment. Considering its fast recovery, I rate Porter Cable higher than DEWALT considering this is a 0.8 HP compressor while DEWALT is 0.9 HP. I also noted its responsiveness in cold weather. I know for a fact some Rolair models have troubles starting in the cold. Even Bostitch BTFP02012 will give you a hell of a time when left even for a week during winter. But I like the dual pressure nozzles; they allow you to work with two tools without having to change the hoses every now and then – talk of a real handyman’s tool. Unfortunately, with this model too, the parts are low quality. The gauges have been built using cheap plastic while the nozzles are very fragile. Without proper care, you may break the unit and that would cost you close to the price if the entire compressor. Regarding design, it’s also lightweight, but a little bit heavier than Bostich. The handle is also average but I wish it would have been sturdier like that in DEWALT. I’m saying this because when you lift the unit, you feel like it can snap out. Porter Cable C2002 is no doubt a real handyman’s tool. I like its performance especially when it comes to recovery. 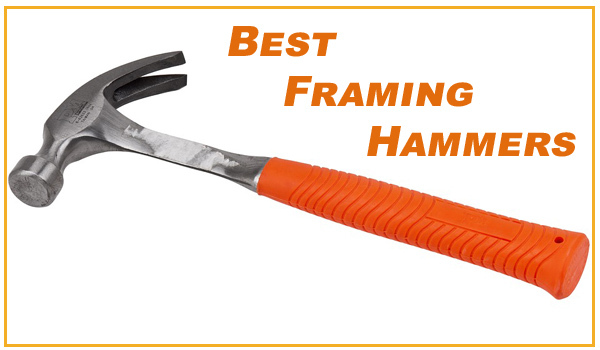 If you have more than one pneumatic tool and you require long hours of use, this is the product you should snap. But buy accessories and take proper care when using it! Everyone wants value for money in whatever they purchase and in our case, this is the real deal when it comes to value. 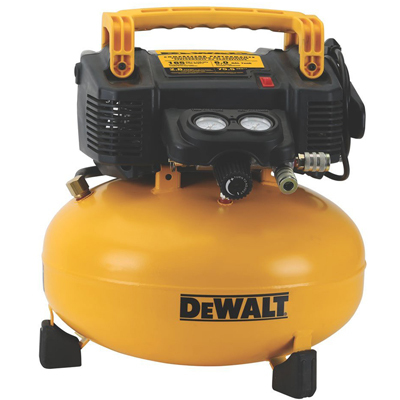 DEWALT has a long history of quality and durability and they have not disappointed with this air compressor. DEWALT DWFP55126 is a heavy duty pancake compressor that I’ve used for 3 years now and it’s still in top condition. It is the perfect blend of durability and performance – that’s what you should look for when shopping for any tool or equipment. DEWALT DWFP55126 can be summed up as a high performance and durable air compressor. The first thing I like about it is the ruggedness. It has been built with tough materials and will withstand extreme working conditions. Though the heaviest model in this review, it is still portable. One thing I like about it is the ergonomic handle. I know we would all love a push handle and wheels but the handle in this one serves the purpose. It is comfortable and offers a firm and solid grip when carrying. I also like the rubber feet that won’t scratch floors and most importantly, they help to absorb the vibrations. This actually takes us to our next advantage which is quiet operation. This is among the few models that have reliable and truthful information you can go with. The noise level is as stated by the manufacturer; 75 dB. Though not the best in the industry, I wouldn’t complain considering its output, plus there is no better option within this category. This compressor comes with a 6-gallon tank with an easy drain system. Though Porter Cable has the fastest recovery, this one is not bad and would be ready for the task. But one thing I like about this model is the durability. I have had mine for 3 years and apart from a few scratches and dents, the engine performance is as it was. 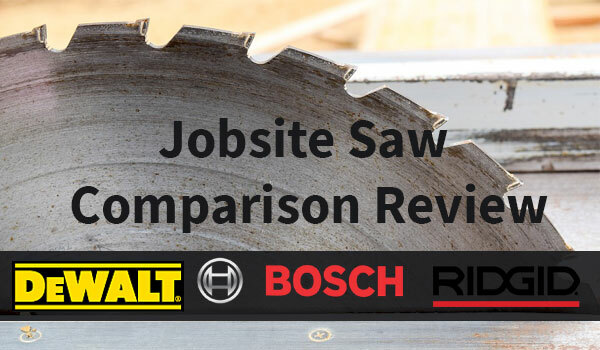 Unlike some cheaper models, including Bostitch that dip in performance after 6 months or so of heavy use, DEWALT has been built to offer constant optimal performance throughout. Today, I chose it as the real value for money because you will get a brand new one at around $170. Considering the top class performance and durability as well as factoring in it’s a top brand, this is a very fair price. 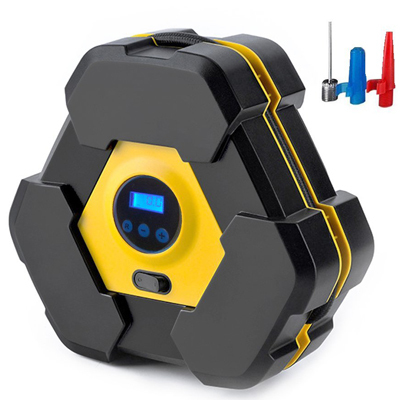 Actually, if you are keen on buying the best portable air compressor that will serve you well, you’d rather step up the budget and get this compressor instead of something like Bostitch. With DEWALT, there are no much cons like other models but one thing I hope DEWALT would review is the warranty. I think for a brand its caliber, the warranty should be at least 3 years. But this is not something that should bother you because there is no opportunity cost; even Porter Cable and the rest offer a 1-year warranty. If you are a serious handyman looking for an equally serious portable air compressor, buy the DEWALT DWFP55126. It offers reliable and constant performance all through and will last longer. It passes all the items in the checklist; performance, durability, extras, price, and brand. 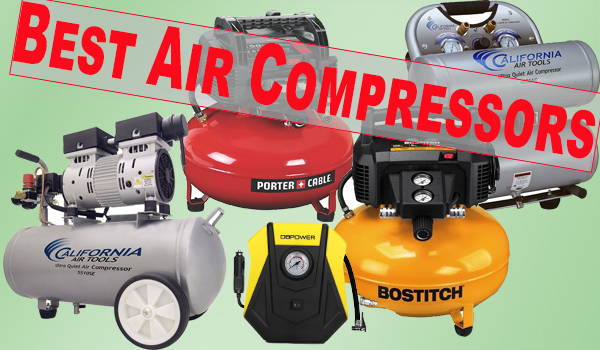 Now that we have suggested a few of the best portable air compressors in the market today, it’s time we tell you a little about what you need to know when shopping for these compressors. But just before we go deeper, we need to ask ourselves, who are these portable compressors meant for? Or rather, why would you buy a portable compressor and obviously compromise performance? That takes us to our next subtopic where we will look at the advantages and disadvantages of portable air compressors. There are tasks that require constant movement and this is where these compressors come in handy. I know you will tell me about hot dogs and twin stacks that have wheels and even push handles but would you use that indoors? No, you will need something that you can carry easily and still use the major air tools; nail guns, spray guns, staplers, and so on. Generally, portable air compressors weigh lesser and as you have seen, you can even get one with less than 5 lbs. But for a pro compressor, you can get one at 30 lbs. for example, Porter-Cable C2002 or DEWALT DWFP55126 and still get some excellent performance. On the other hand, hot dogs and twin stacks may even go up to 100 lbs. Another advantage of these compressors is their price. At least with a budget of $100, you can get a reliable air compressor that is easy to carry. On the downside, portable air compressors won’t give you raw power. They have single stage pumps so unlike –two-stage compressors, their performance is lower. Actually, these compressors are built for light pneumatic tools so if you want something that will handle all your professional tools, consider a hot dog or twin stack. They have larger engines and may even hit 2 HP while the largest motor we have in portable compressors is a 0.9 HP. A lot of people have been asking, what are the factors to consider when buying portable air compressors. What I can tell you, the same principles used when shopping for air compressors, in general, will still apply. In this segment, we will now go into details of what you should consider before settling on one air compressor. I keep saying, you should buy from a top brand. 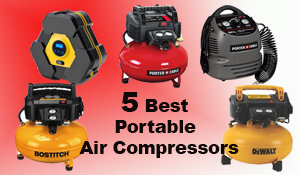 Though it may seem to be overly choosy, it is best if you buy a portable air compressor from renowned brands like Makita, DEWALT, Porter Cable, and the rest. At least, you are sure of getting value for your money with a top brand as opposed to these cheap brands we see around. Top brands guarantee quality and in the worst case, their parts are readily available and they have genuine warranties too. But then, remember a top brand will cost you more. But the good thing is that you will be getting value for your money. Remember the saying, cheap is expensive and you get what you pay for. This is the most important aspect to consider when looking for a portable air compressor. Definitely, you want something that is lightweight so weight will be a top priority. Ideally, a lightweight compressor for handling some popular pneumatic tools will weigh something around 30 lbs. ; that’s medium-range pancake model like Porter Cable C20002. Besides weight, the type of handle and ergonomics in general matters. It is very hard to get a portable compressor with wheels. Handles remain the only option so the type of handle really matters. You want something with a large ergonomic and comfortable handle that will make carrying it less tiring. A good choice here will be DEWALT DWFP55126 definitely. After you are okay with the weight and handling, it’s time we look at the compatibility with your tools. Here, you will want to consider aspects like cfm, psi, hp and so on. Something I want you to note here is that portable air compressors are built for light duty air tools so don’t expect such high raw power. Just make sure all your tools are compatible by checking the cfm. You should also consider the tank type and here, there are two perspectives; the capacity and tank material. One of the most delicate parts of a compressor is the tank. It should always remain in good condition and immediately it starts getting rust, then know it’s time you start saving for your next air compressor. When shopping, look for a steel tank; it’s stronger and more durable. You should also consider the capacity of the tank. I won’t tell you a large tank is the best – it all depends on your needs. What I would say if you have more air needs, I suggest you get a pancake model; it’s smaller and has a large tank capacity. But when you need a compressor for small tasks, then just get a small tank. As you are aware, there are gas and electric powered portable compressors. Gas powered engines use gas to run the engines while electric compressors are directly connected to the mains. Each of these sources has advantages and disadvantages. Gas is reliable and will work even far from electricity. Unfortunately, it has a lot of emissions and requires intensive maintenance. On the other hand, electric powered are cheap to run but on the downside, they may limit usage location. When shopping, there’s one thing you need to know. None of the two options will offer you better performance; be sure to check the specifications. You will also want to know how loud or silent the compressor is. You will realize that the bigger the engine, the louder the operation. I know for a lot of guys, the operation noise is not a concern but for a daily air compressor user, you will want a quiet engine. Unfortunately, most air compressors don’t have factual information regarding the operating noise. What I will advise if you are keen on getting a quiet air compressor is to look for customer reviews and see what others are saying about its noise. Please note that when shopping, don’t be too rigid with the kind of air compressor you want. Always know that there are times you will have to compromise some features for others. In other words, you may not get all that you want, for example, you can’t go out looking for affordability and performance in the same air compressor. Typically, these cheap compressors have low performance and as the performance is stepped up, the budget also goes up. Portable air compressors come in handy when your job requires moving from one point to another. But in as much as portability should be a concern, you also have to factor in the performance just to make sure it will power all your air tools. Besides, it should have better handling to allow you carry it easily. That said, we have now to the end of our review. If you have any questions or queries, please feel to talk to us in the comments section below.